Knowing how to identify sources of fiber can go a long way in benefiting your overall health. The best options are full of fiber, but low in additional carbohydrates. 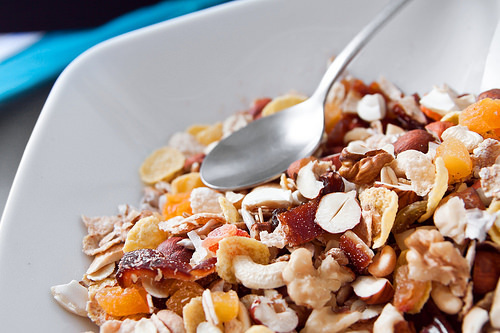 Eating recommended daily servings of fiber can aid in digestion, weight control and energy. It also fights off feelings of hunger, as it bulks up your meals making you feel full quicker. The benefits of fiber are many, all leading to a healthy and fit body. So know what you include in your diet for enjoying its benefits! When you think of berries, you don’t often think of fiber. 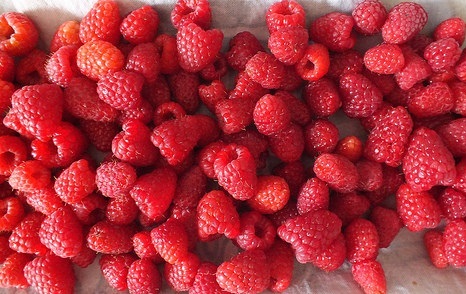 However, raspberries pack a lot for their small size. One cup of the sweet berry has the same amount of fiber as three 1-slice servings of whole grain bread. Raspberries are also full of vitamin C, antioxidants and anti-inflammatory properties, which makes it possible to satisfy your sweet tooth and watch your health, too! 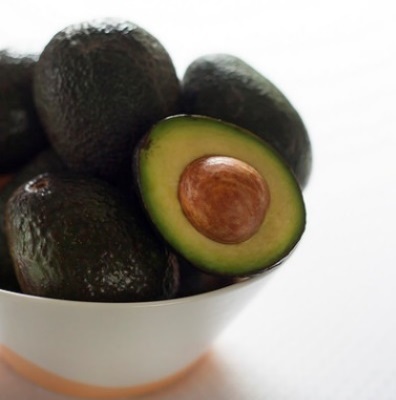 When food experts talk about avocadoes, they typically point out that they are full of monounsaturated fats that are healthy for your heart. But did you know they are one of the good sources of fiber, too? Just one medium size avocado boosts nearly a third of the daily recommended intake for women and a fourth for men under 50 years old. Low in carbohydrates, it is a great addition to health-conscious diets. Oatmeal is on the list of many healthy diet plans as it is full of nutrients that are healthy for your body. A good choice of this breakfast food is steel cut oats. They pack more flavor due to minimal processing. They get their cholesterol-fighting reputation because they contain beta-glucan, a super fiber food. You will find 6 grams of fiber in a mere quarter cup of oats, plus they leave you feeling full for a while. Lentils are known for their high fiber content. 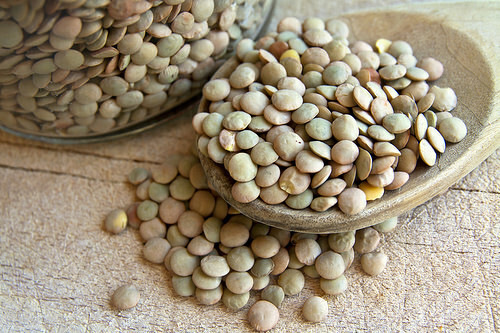 One-fourth cup of uncooked lentils provides almost 16 grams of fiber and over 11 grams of protein. 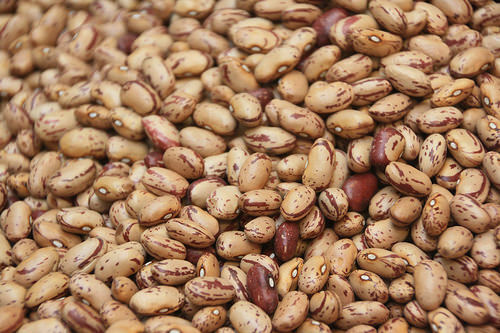 This small amount will cook up to a one-cup serving in a lot less time than other beans. In fact, you can cook up a batch of this healthy staple in less than fifteen minutes. Broccoli is a superfood and one of the good sources of fiber as well. Low in calories, it is high in fiber. One cup of the green vegetable only contains 50 calories, yet boasts nearly 6 grams of fiber. It is also full of other vitamins and nutrients, making it a great addition to your diet. 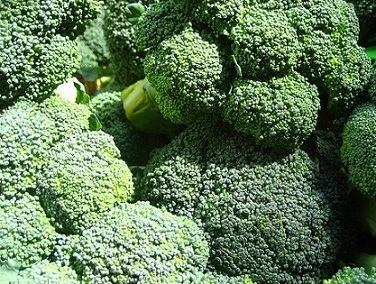 Broccoli can be prepared in numerous ways, which includes steamed, roasted, boiled, sautéed and even served raw. The popular saying “an apple a day keeps the doctor away” is well-known for a reason. 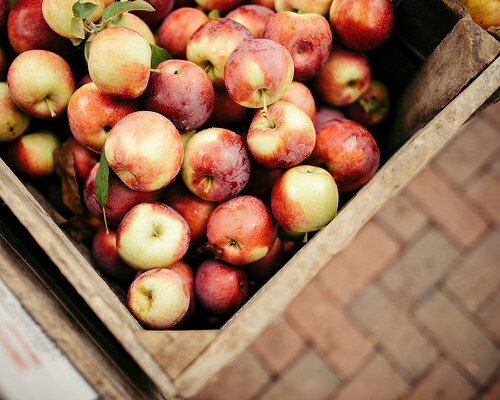 An apple contains pectin fiber, which is soluble. When you eat one, it creates a gel that causes the food in your stomach to be absorbed and digested at a slower rate. One medium apple equates to over 4 grams of fiber. Another versatile form of fiber, you can eat it raw or add it to a favorite dish. 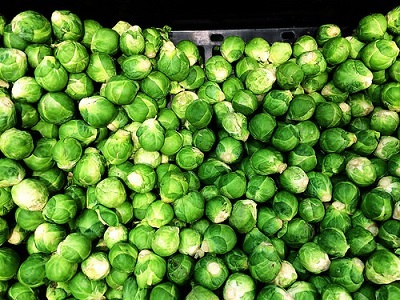 Brussel sprouts have a bad rap. They have a distinct flavor that most kids shy away from, probably including you as a child. Thank goodness the days of boiling Brussel sprouts as the only way to prepare them are gone. Now roasting the little green vegetables is the rage and it brings out their great flavor. As little of six sprouts equal about 4 grams of fiber. You should put corn on your list. One ear of fresh corn has up to 2 grams of fiber. A one and one-half pint of popcorn equates to nearly 4 grams of fiber. You have several varieties to choose from, in a wide range of colors. 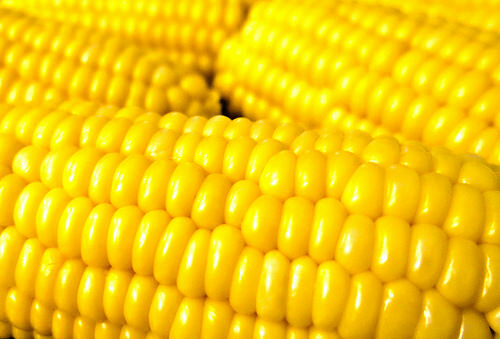 Packed full of antioxidants and protein, corn can be a great addition to your diet. 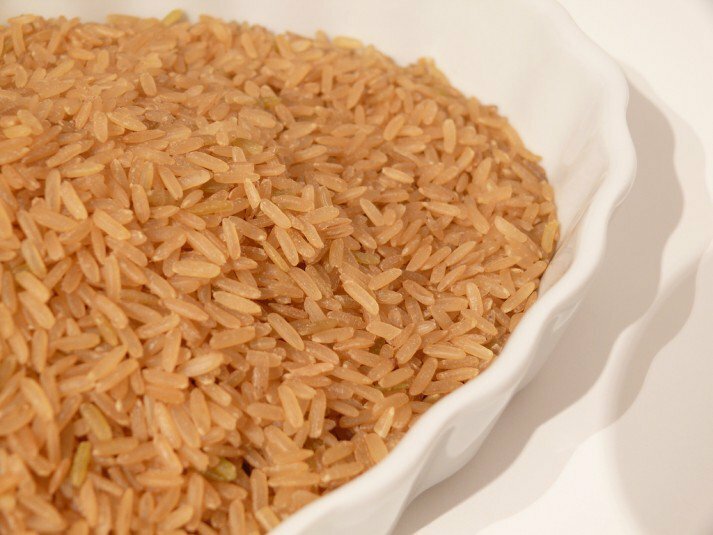 Unlike white rice, which can raise your risk of diabetes, adding brown rice can lower your chances of developing the disease. Its high content of fiber with 3.5 grams per cup allows this grain to help lower cholesterol levels and keep blood sugar in check, while filling you up. 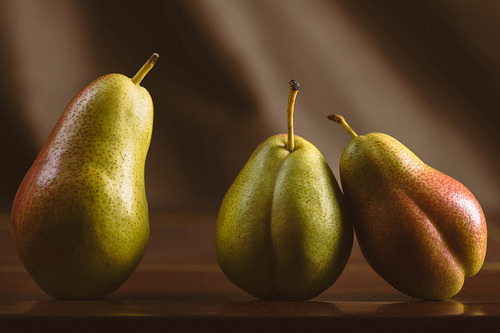 Pears are a sweet treat containing almost 6 grams of fiber per medium sized fruit. To get the most fiber benefit, eat it with the skin on. Pears are high in vitamin C, with one serving providing over 10 percent of your recommended daily requirement. Often called the fruit of the gods, it’s naturally full of several antioxidants, vitamins and nutrients good for your heart and known to fight cancer. 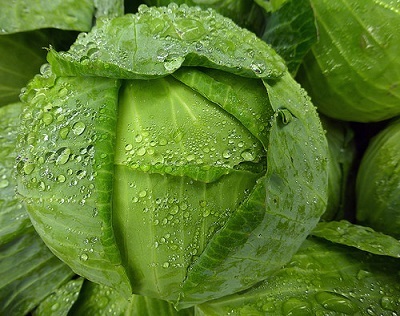 Cabbage is a low carbohydrate food, containing a nice portion of fiber. It is also known for its antioxidants content beneficial in fighting cancer. One of these nutrients is indole-3 carbinol. Many good sources of fiber can be eaten cooked or raw and this is one of them. You can shred cabbage to add to a salad or incorporate it in a soup or stew. Some like to boil it on its own with seasoning. 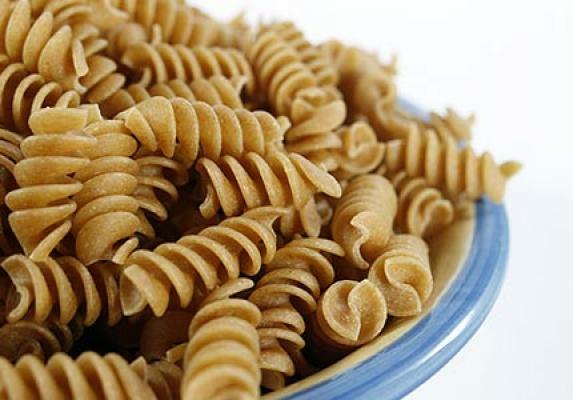 If you are used to traditional pasta, it may take you some time to get used to the whole-wheat version. However, the change can make a big difference in your diet. Preparation remains practically the same, with boiling times ranging around 8-10 minutes. A one-cup serving contains over 6 grams of fiber, which is a generous portion of your daily recommended intake. Almonds have high calorie content, so it is important to stay on the side of moderation when eating them. With that said, they are also a solid source of fiber. One-fourth of a cup serving has over 3 grams of fiber and is made up of healthy fats. 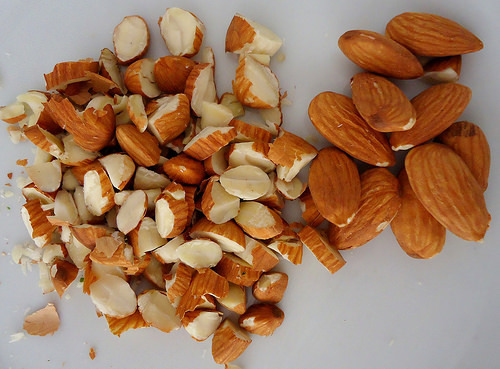 Full of protein as well, eating almonds makes your body feel full and satisfied which helps prevent overeating. 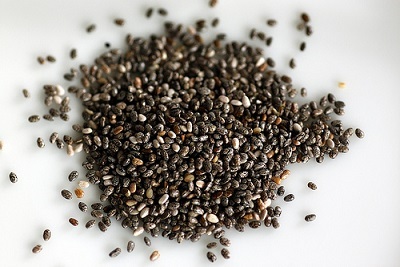 Chia seeds have become more popular as individuals become more aware of its benefits. One tablespoon packs of punch of over 5 grams of fiber. Add to that is its generous content of protein, vitamins, omega-3 fatty acids and minerals. It is easy to incorporate it into your diet by simply adding to salads, oatmeal or smoothies. Some recipes even give directions on how to use chia seeds as a replacement for eggs when baking. Beans are definitely good sources of fiber. They’re often avoided because of their reputation of producing gas, but experts agree if you gradually increase your intake, the frequency of these occurrences will be minimal. One cup of beans contains 15 grams of protein, 15 grams of fiber and nearly 25% of your recommended daily intake of potassium.